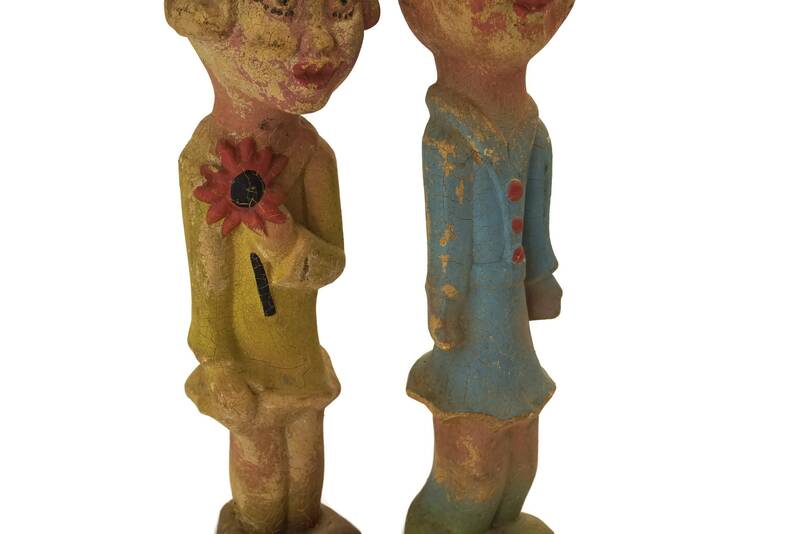 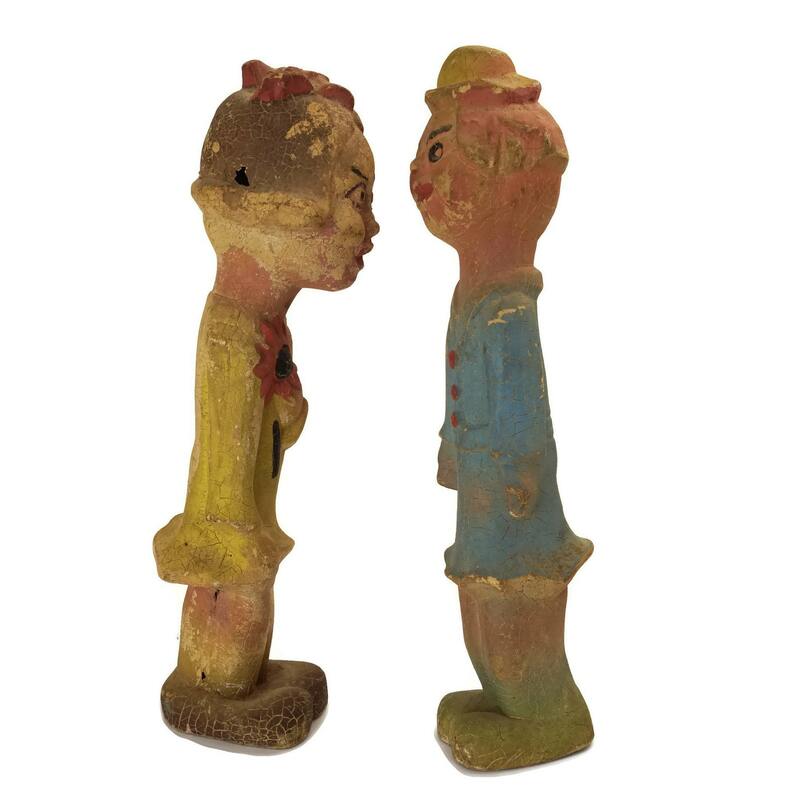 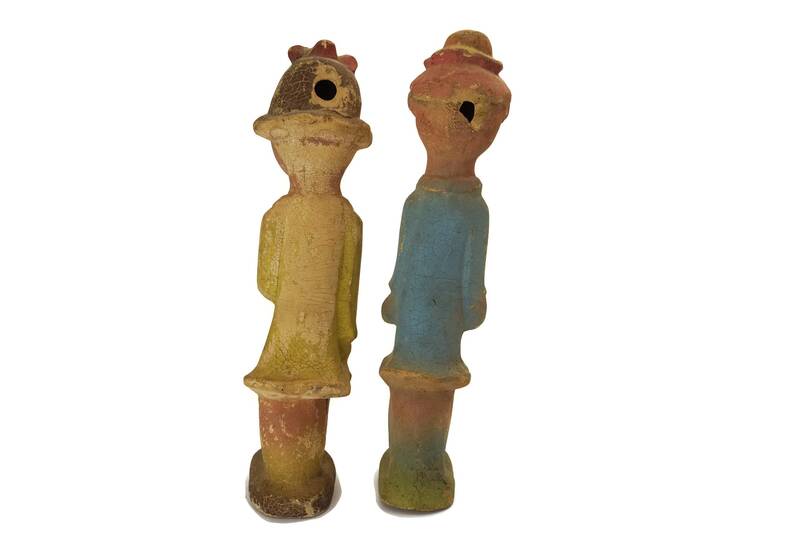 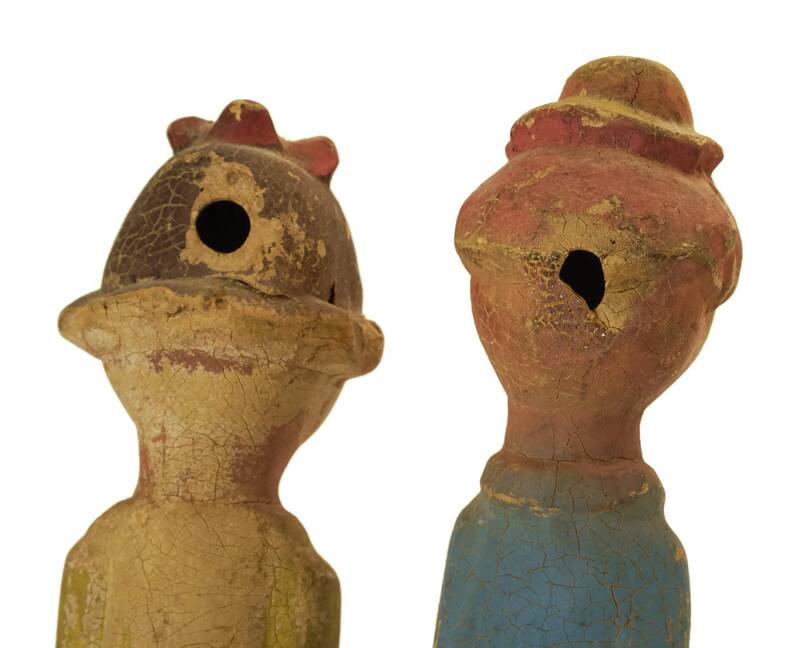 A rare pair of antique carnival dolls from the 1920s. 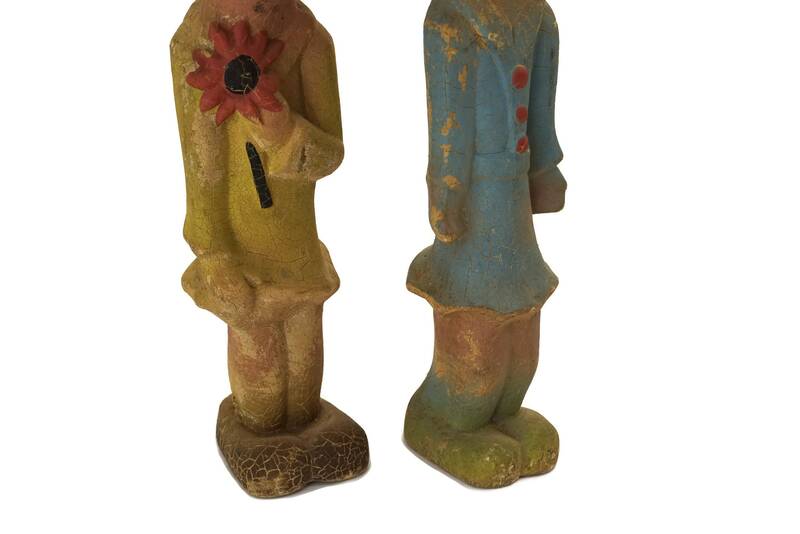 Each of the collectible figurines has been cast from rubber in the form of a girl dressed in vintage fashion. 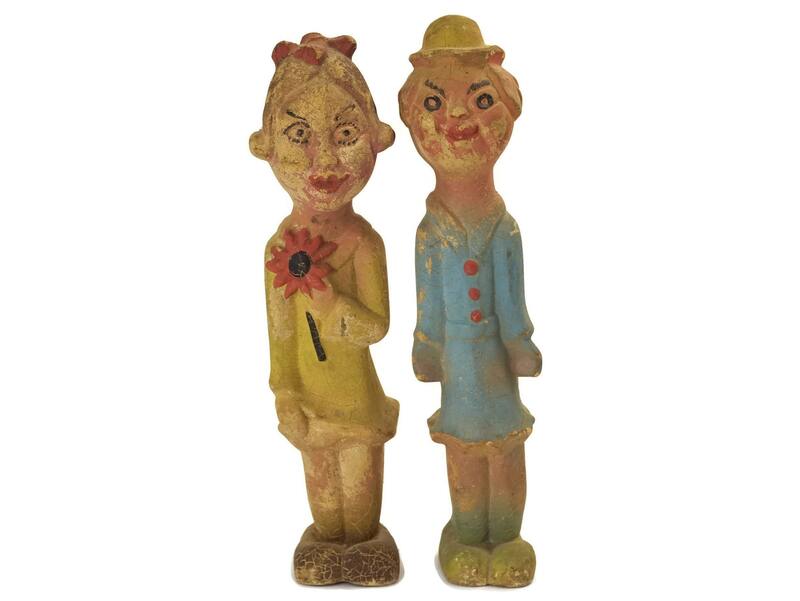 Each one has been hand painted in pastel shades and have charming expressions. 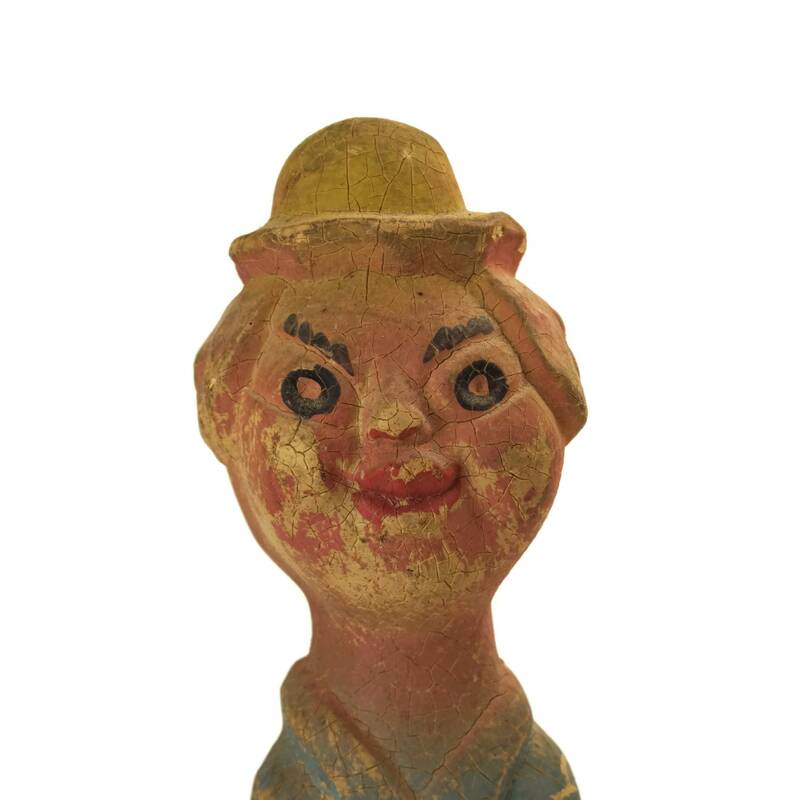 The rubber has hardened over the years and there is crackling to the surface of the dolls. 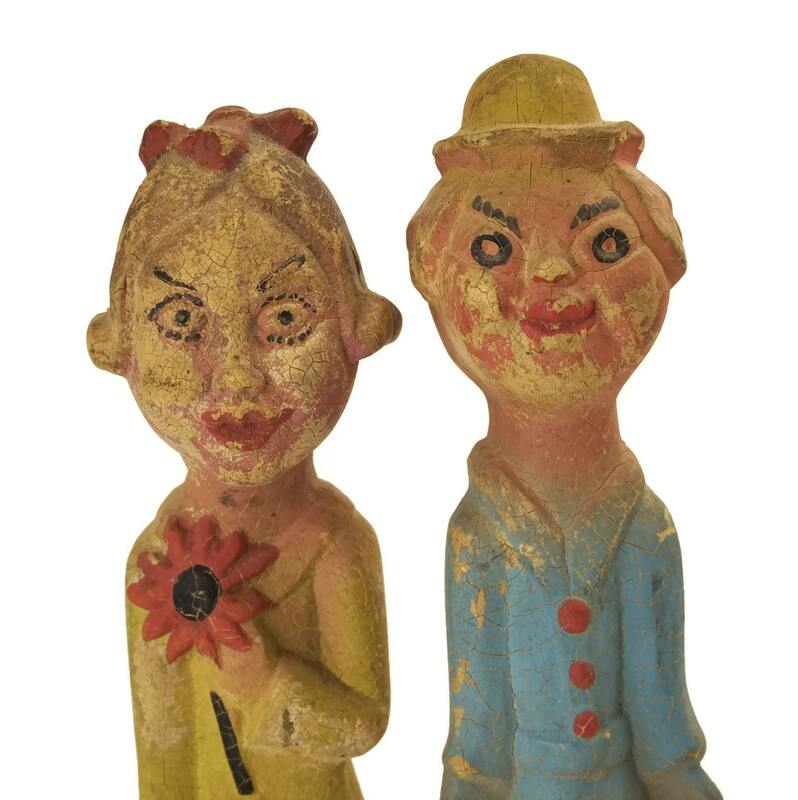 The dolls are in fair condition with some signs of age and wear. 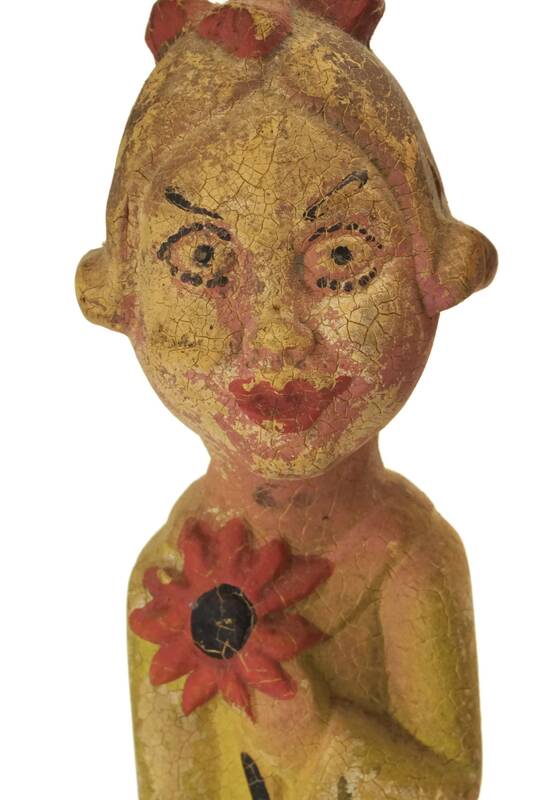 There is flaking and wear to the paint and small holes on the sides and back of the doll's heads.